Homeowners who have done short sales will qualify for a new mortgage in two years. Here’s some good news for people who had to give the deed on their house back to the bank because of financial problems, or who have done a short sale to avoid foreclosure: You may not have to wait the typical four or five years to re-qualify for financing to buy another home. Homeowners who have done short sales — such as under the Obama administration’s new Home Affordable Foreclosure Alternatives program — will also be able to qualify for a mortgage in as little as two years. 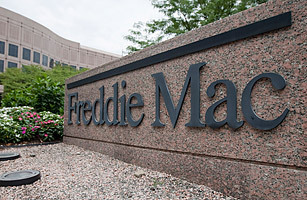 Although Fannie Mae officials declined to discuss the reasoning behind the changes, the bulletin to lenders said the company hopes to encourage troubled borrowers to work out solutions that avoid the heavy costs of foreclosure. Fannie’s new standards come with some noteworthy fine print, however. To qualify for a new loan in the minimum two years, most borrowers will need to come up with down payments of at least 20 percent. If they can scrape together only 10 percent for a down payment, the wait will revert to the four-year minimum. And if their down payments are less than 10 percent, the wait could be even longer. On the other hand, if borrowers can demonstrate that their mortgage problems were directly attributable to “extenuating circumstances” — such as loss of employment, medical expenses or divorce — they might be able to qualify for new loans with minimum down payments of 10 percent in just two years.